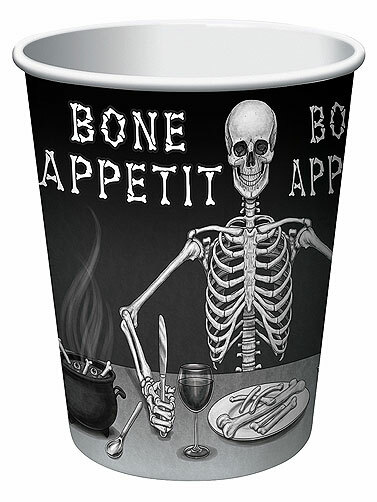 Bone Appetit Paper Cups will hold your favorite hot and cold beverages. Disposable cups with a skeleton theme in black and white. Matching Bone Appetit decorations and tableware are available. Each sold separately. Bone Appetit Paper Cups hold 9 oz. 8 ct.